Exercise-based rehabilitation is not routinely offered to patients. 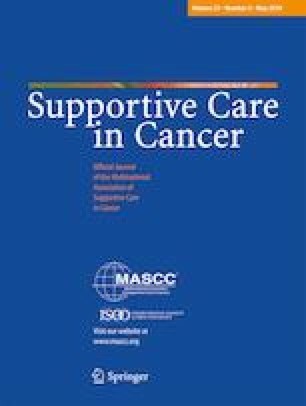 We explored the experience of cancer survivors completing an exercise-based cancer rehabilitation program with and without motivational interviewing. A qualitative study using semi-structured interviews and thematic analysis was completed with a purposive sample of 26 cancer survivors (n = 17 female, n = 18 post-treatment) participating in cancer rehabilitation at a tertiary hospital. Interviews were recorded and transcribed verbatim. Coding was completed by two reviewers independently and confirmed by a third reviewer. The main theme that emerged was exercise-based rehabilitation facilitated a return to normality after diagnosis which included positive changes in physical activity behaviour. Sub-themes were that rehabilitation is person-centred, challenges expectations, empowering and facilitated by expert staff. Common themes emerged whether participants received additional motivational interviewing or not. However, participants who received motivational interviewing were more likely to report feeling accountable for their physical activity levels. Transition to ongoing independent physical activity remained a challenge for some people who did not feel empowered or socially supported. Exercise-based cancer rehabilitation is important in facilitating ‘return to normal’ including increased participation in physical activity. To challenge expectations and to empower cancer survivors, rehabilitation programs should be person-centred and led by expert staff. This work was supported by a collaborative grant between La Trobe University and Eastern Health. Author AD is supported by an Australian Government Research Training Program Scholarship. The research team have full control of all primary data. The journal will be unable to access the data as it involves individual transcripts of participants, as per our ethical approval.